KEEP YOUR CENTRAL VACUUM SYSTEM WORKING FOR YOU! 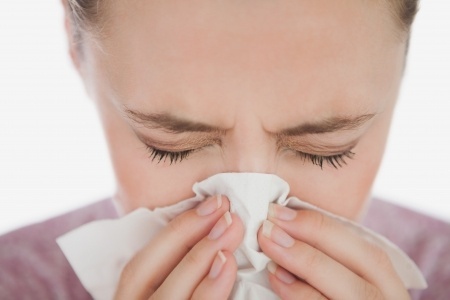 Does the mere thought of Spring leave you with a running nose and the sniffles? After that horrible, cold Winter, everyone is excited about the Spring season with its beautiful flowers, yet for those of us with seasonal allergies along with all of that beauty, the itching nose and watering eyes are sure to follow. You may think you are safe staying inside. You might even reason you are safe from that pesky pollen indoors, right? Guess what? You’re still at risk. The pollen spores can travel through the screens, in fact when you come in from outdoors, tiny bits of pollen can travel inside with you on your clothes and then onto your furniture and linens. That is why it is so important to keep your Dirt Devil Central Vacuum in optimum working order and at maximum capacity. Be diligent about replacing your filters once a year, as suggested by Dirt Devil and schedule your routine service calls. The service call includes not only replacing the filter, as needed, but also cleaning the Dirt Devil Central Vacuum piping system with the Wincor Tornado cleaning cloths. Empty the canister of your Dirt Devil Central Vacuum system when it’s half-full. Check your filter regularly – every time you empty your canister. Mark it on your calendar and schedule your Dirt Devil Central Vacuum service today! Plan to enjoy your Spring season. Breathe easy knowing the Dirt Devil Central Vacuum system is working at optimum capacity for YOU. Hurry – schedule your spring cleaning service with Secur-Tek by June 30, 2015 and receive a $20 discount on the normal service fee. You see it in the corners of each room of your house, under the sofa, along the baseboards, on the mantle, on the book shelf, floating through the air, glistening in the ray of sunlight that streams in through the front window. It can be dust, dust mites, fur, hairballs, pet dander, pollen or any combination of it all. It makes you sweep every day, even twice a day. It is the reason you pull out the vacuum cleaner and drag it and its cord around from room to room every day; and yet, after all the sweeping and the vacuuming, you look around and wonder why it looks like you barely did a thing. Give yourself an advantage over all those allergens and unwanted foreign objects that constantly entrench themselves in your home. Consider the installation of a central vacuum system. A central vacuum system allows you to move freely about your home, carrying only a lightweight hose and brush unit. Inlets located around your home transfer debris through tubing set within the walls to a receptacle usually located outside of your home in the garage. This set-up makes it easier for you to clean your house and, unlike traditional vacuum cleaners that recirculate air, keeps the dirt, dust, and dander out of your living space. Breathe cleaner air more often. Trip over cords less often. Enjoy the rays of sunlight minus the floating objects. For more information on central vacuum systems, contact Secur-Tek at 919-387-1800. When talking about home or business electronic systems, the terms integration or automation may not be especially familiar to everyone. Secur-Tek of Apex, NC specializes in building system upgrades. Whether it’s a home, office building or business, Secur-Tek can install and maintain everything from alarm systems to surround sound. We can set up computer networking, optimize wireless capabilities throughout a building, and even install central vacuum systems to make it easier to keep every room clean and improve the air you breathe! Technological upgrades are a way to improve the conveniences in any building, and Control 4 automation is the ultimate system upgrade! What are the benefits of Control 4 automation? Operate appliances remotely from any room. Turning functions on and off from anywhere in the room or building makes life so much easier. For example, when having guests over, blinds can be lowered or raised, music can be changed easily and lights can be dimmed, all from the touch of a button on a tablet or cell phone. Total control of electronic functions. An easy to use application on a cell phone can keep tabs on all electronics. Having control of the on/off functions of appliances is also energy efficient. Knowing which appliances are running, and which are off, at all times will optimize the power bill. This is also a great function to remotely monitor the functions of a Secur-Tek alarm system in a home or office! No more remotes to keep up with! When everything is synced to a tablet or cell phone app, worrying about finding the remote to the air conditioner is no more a chore! All home and office functions are controlled by a single unit with a total automation configuration. Considering these wonderful benefits, what home or business wouldn’t appreciate total electronic integration? Secur-Tek can configure and maintain Control 4 automation for any size building, from apartments to businesses or office buildings. Don’t be left in the dark ages! Call or contact Secur-Tek today to learn more about how automation works, and get an assessment of the possibilities for your home or business! Also, take a look at this video for a great example of how Control 4 automation can benefit a home! Three Ways Secur-Tek Can Hook You Up! Secur-Tek, Wake County’s premier home and business security company, does much more than the name implies! Of course, Secur-Tek installs top of the line security systems at reasonable prices. We also install central vacuum systems throughout a home or office, making it much easier to keep everything clean thus greatly improving air quality. Secur-Tek installs custom Bose sound systems, bringing music to any part of the house, inside and out, throughout the office, or anywhere it is needed. Our sales and design team can create a Control4 automation system, giving clients remote operation and control of electronics inside your home or office from anywhere. No more driving home to check if the security system is armed or if you turned off the lights! The number one security company in the Triangle can do even more for homes and businesses! The most important ingredient in the office or household environment, especially within the technologically advanced world we live in today, is wireless networking. If there is more than one computer or wireless device, tablet, smart phone or laptop, there is a good chance it has a wireless network connecting all of these devices to the Internet. Especially in an office setting, each employee has a laptop or desktop system which depends on the office’s wireless network for daily functionality and work performance. Wireless is now the principal “connector” for everything digital, and nothing is more frustrating than a poor or slow connection. 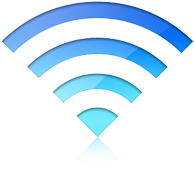 Many homes have a certain area or room where the wireless is strongest. Maybe there is a better connection on the couch than in the bedroom where most online work or browsing is being done. In the office, the break room may have a better connection than the cubicle. But this problem doesn’t have to be endured. Secur-Tek is here to help! ● Install a network. If wireless is not already installed in your home or office, we can take care of hooking everything up and getting your network connected and running. ● Improve connectivity. Connection problems are frustrating and can be detrimental to productivity. Secur-Tek will optimize the connection in every corner of the home or business. ● Expand the network. Many individuals and organizations are in need of greater range and more bandwidth to sustain the proper network connect-ability. We assess the current situation and make the correct changes. So quit wasting time waiting for more bars on the smartphone, call Secur-Tek today to get the connection you want at a price you’ll love! In this rapidly evolving technology world, new strategies are constantly being presented to make security simpler and safer! From remote monitoring to total system integration, there are a multitude of possibilities to place your home and business under your complete command. Locally owned and operated for over 22 years in Historic Downtown Apex, Secur-Tek, Inc. has been installing home security systems and other electronic devices longer than anyone in the area. 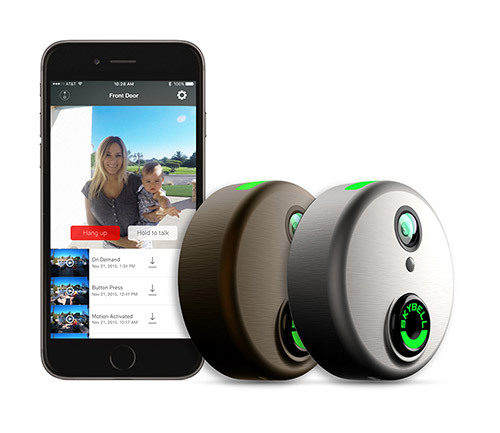 As a consumer, you may be curious about home security systems and wondering which one is the best. Maybe you are currently building a new home or considering the upgrade of your current systems. Our years of experience can guarantee quality installation of a wide variety of security systems, and our trustworthy 24-hour monitoring is established with experience for security and fire alarm systems. Even if Secur-Tek, Inc. did not install your current system, we can monitor it and make sure your home or business is protected every single day and night. Interestingly, security is not all we offer! Technological upgrades to your business, office building or home can help reduce energy usage while bringing both value and safety. Here in Apex, as well as in the rest of Wake County, we are helping to bring the tech revolution to the home and business owners who want to be more in control. Operation of everything from appliances to lighting can now be done remotely from a tablet, and we can make this simplified 2013 lifestyle a reality for you, your family or your business. Home Security Systems – A sense of security is something everyone wants, especially for their family or investment. Home security is a way of caring for what you love most, and making sure it’s protected when you’re busy. 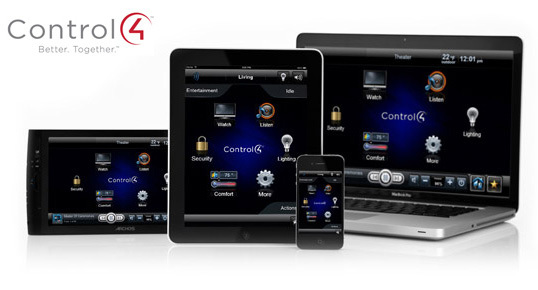 Home Automation/Integration– Having control of your television, kitchen appliances, lighting, and alarm system from one single device makes life so much easier, and safer! Control everything from your tablet, and no longer worry about whether something was left on. Saving energy is simple when all it takes is the remote click-of-a-button! Dirt Devil Central Vacuum Systems– Better technology for today’s energy efficient, advanced living spaces. Making house cleaning easier and more streamlined ensures comfort and simplicity. Bose Music Systems – We can install sound systems/surround sound for living areas, patios, pool areas, or any other indoor or outdoor location. Bose is top-of-the-line quality audio with several options to fill any space. Call us today at 919-387-1800 or contact us online to set up a free consultation. We give our prices up front, so you’re never surprised by what we charge for services. And we keep our contracts simple for all of our customers! Don’t wait to bring your home or business into the best technology available, our services will bring you security, efficiency, and peace of mind!